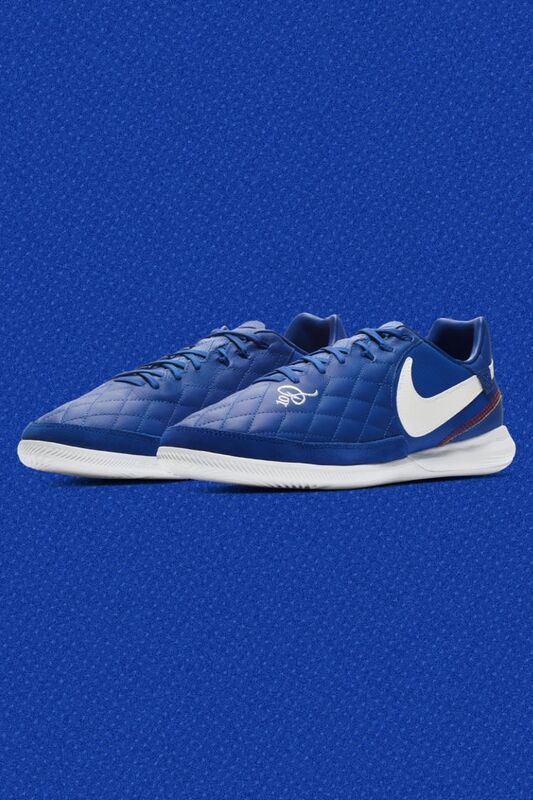 The next instalment of the 10R collection is here, inspired by Brazilian legend Ronaldinho. Responsive foam cushioning, premium leather surface—this indoor boot is designed to help you replicate his mesmerizing footwork. 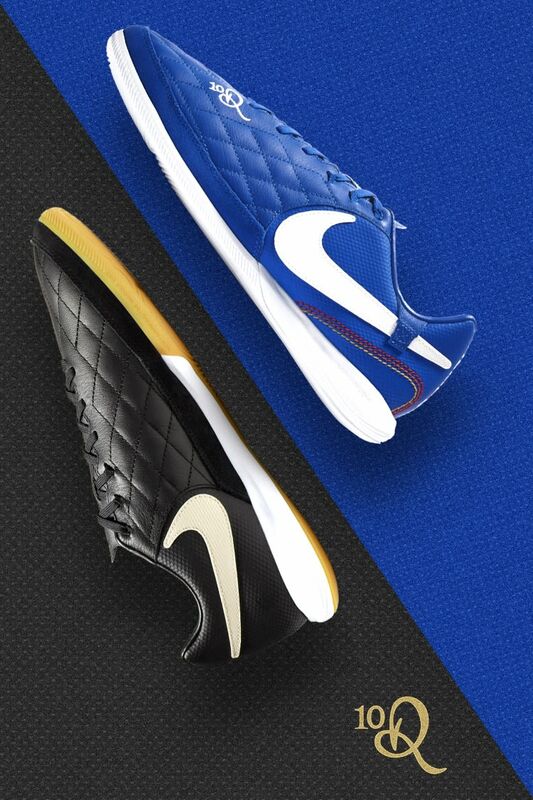 Unleash your creativity and dazzle opponents in black or blue colourways. 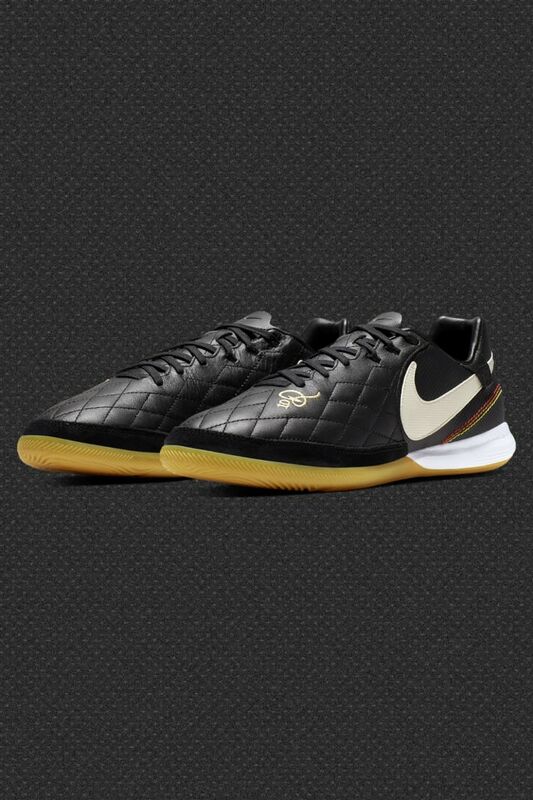 The new 10R Tiempo 'Dois Golaços' is inspired by two of Ronaldinho’s greatest goals ever. The first is the infamous lobbing of England National Team's goalkeeper from 40 yards during 2002's Brazil - England, scored while the whole world had eyes on the game. Just as daring as beautiful. 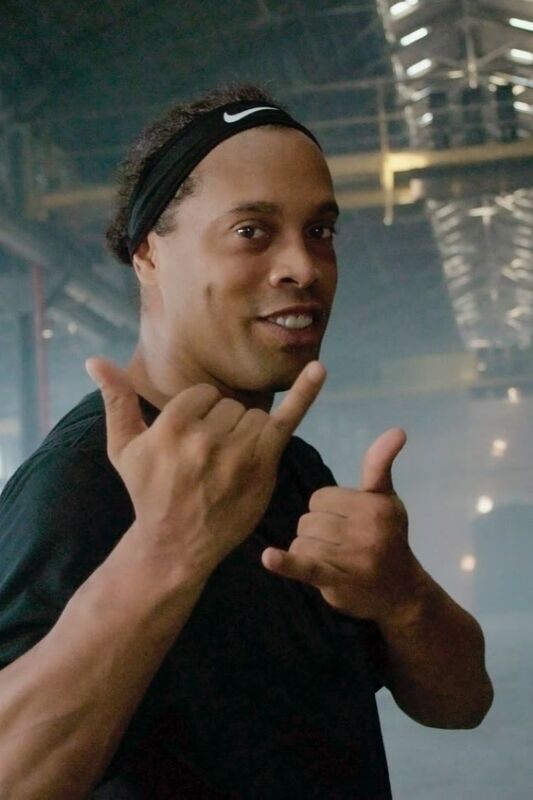 The second is the insane score in La Liga in 2006, when Ronaldinho chested a long pass, spun 180 degrees, and shot a right-footed bicycle kick over the helpless keeper. One of those plays that seem unthinkable... until they happen.